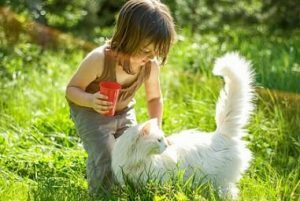 SCIENTIFIC-BASED force-free dog training through Positive Reinforcement, Clicker Training, TTouch & Behaviour modification Techniques. 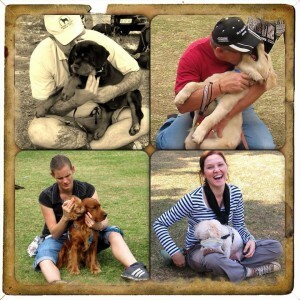 GoodPet Puppy Training: For pups from 9 weeks old at start – join any time of the year. 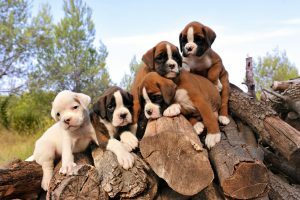 Fenced in grounds (we have the sole mandate on our training venues ensuring your safety) AND a team of dedicated animal lovers who are there to help you along the way. 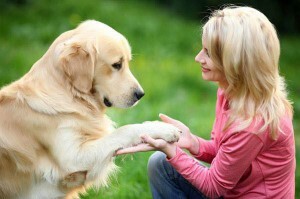 Must be booked together with the Behaviour Consult and must be scheduled within 3 weeks after your first Consult. *If you refer a friend and they take the same package, YOU GET 10% Discount, and THEY GET 5% Discount off price as well! 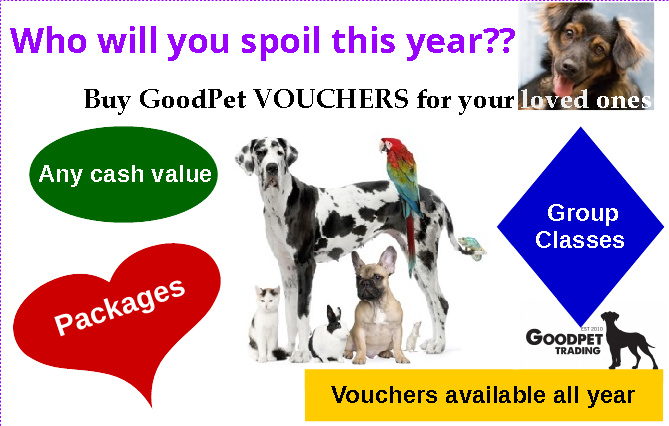 Buy GoodPet VOUCHERS for your loved ones. IMPORTANT: Payment into our bank account without the above does not guarantee your booking / place in the class! Please ensure you have the correct paperwork before you make payment. We do not accept incomplete bookings. Please use your FULL NAME as a reference. If you are paying Cash Deposit – at the bank; or Cash Deposit at an ATM; or by Cheque – Please add R 20 Administration Fee to your Total. 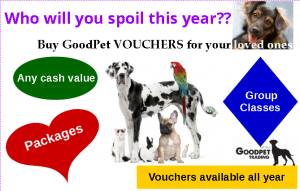 GoodPet reserves the right to charge interest on overdue invoices. GoodPet reserves the right to charge a fee for rejected debit order payments. No refunds or cancellations will be allowed.